Who's heading to the Lake St. Clair Bassmaster Elites in August? Just wondering who is going, when you're going and what you're going to do there?? The upcoming Bassmaster Elite Series tournament on Lake St. Clair at Lake St. Clair Metropark August 24-27! Should be some great weights this year the way the lake is fishing! Haven't decided which day(s) I'm going yet. Probably the final day to get some pictures and stuff! 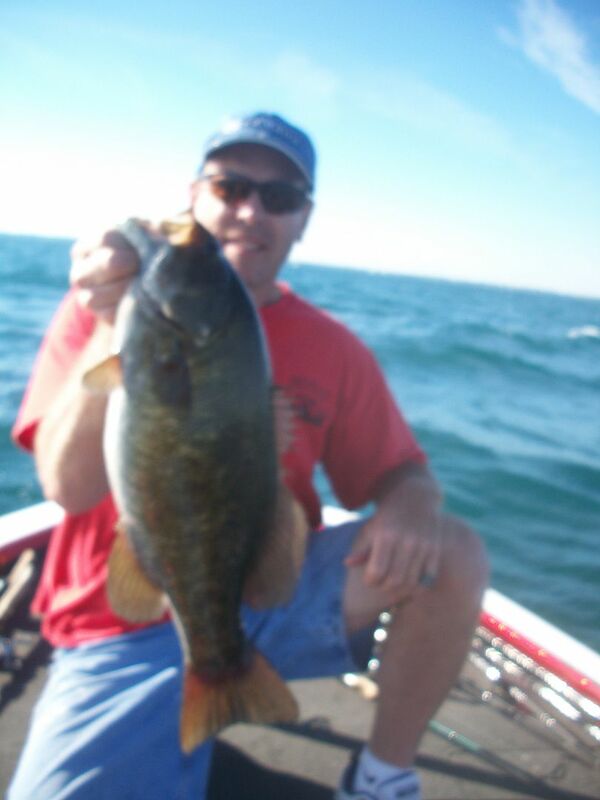 Re: Who's heading to the Lake St. Clair Bassmaster Elites in August? Like everything else in my life right now, it depends on work. Been on 7 12's for a bit now. I will be out there, just haven't decided 2,3 or all four days. I'm not feeling like a bunch of days this year right now, but who knows as it gets closer. I have to probably drop some stuff off before the event (conservation stuff) and am at least leaning towards Sunday for now. You're putting in your time! You should! It's fun even if just for a few hours. Lots to see and do at the Bassmaster Elite events! Maybe I can go with you Mark..... Give it some thought. Yes Mike, you can and i can offer you 3 choices: Debbie is going with me on Sunday, you can come with us ,bring your Debbie, or the 2 of us can go Saturday...your choice, we're okay with whatever you choose. Let me get back with you Mark. I don't want to intrude on Debbie's date day with you. I had planned on going out to this in my boat but my boat is now out of commission. I am willing to pay for gas or what ever, if anyone needs or wants someone to tag along let me know. I am available any day. Holly crap that is a bad day for sure, what happen ? I am still desperate to get out if anyone has an open seat?!?!? Have you shared that story before?? Just curious as to why? He's a really good angler anyway. Good thing you had a boat that wouldn't actually sink. In the distant past I saw a few boats that weren't supposed to sink actually sink but that was a long time ago. I hope you find a good boat for your future boating and you have no more of this kind of thing! Once is more than enough!! !